This three-year, five-phased project was constructed in a fully operational, clinical space. Collaboration with MGH, Payette and G. Greene was essential to ensure this project was a success and one we could all be proud of. 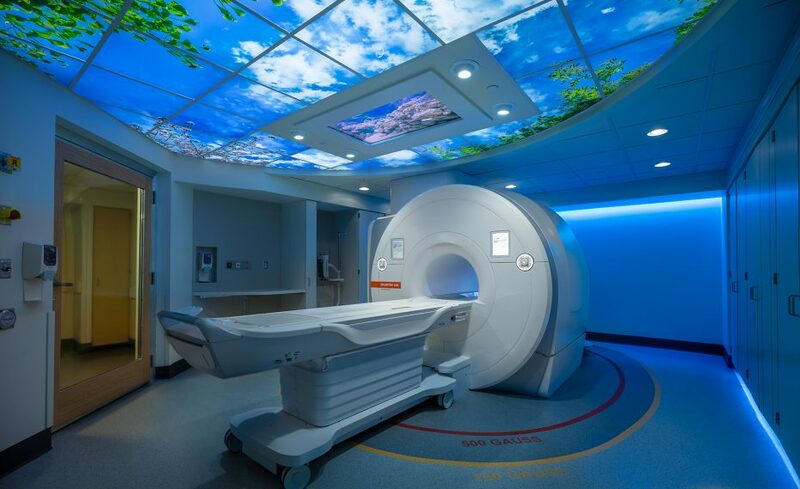 Included in the new imaging suite was a new state-of-the-art 3T MRI with equipment room and (2) CT Scans. New corridors (with separate patient and staff access), waiting rooms, changing rooms and administration support spaces were also constructed. One of the most critical phases of this project was hoisting the Siemens 3T MRI , 4 x 8 x 8 in size, weighing 18,000 lbs to the 6th floor. The MRI was hoisted up 100 feet through a narrow 14-foot space between two buildings. Due to this challenging process, safety requirements were essential for both the workers and pedestrians to walk to their destinations out of harm’s way.